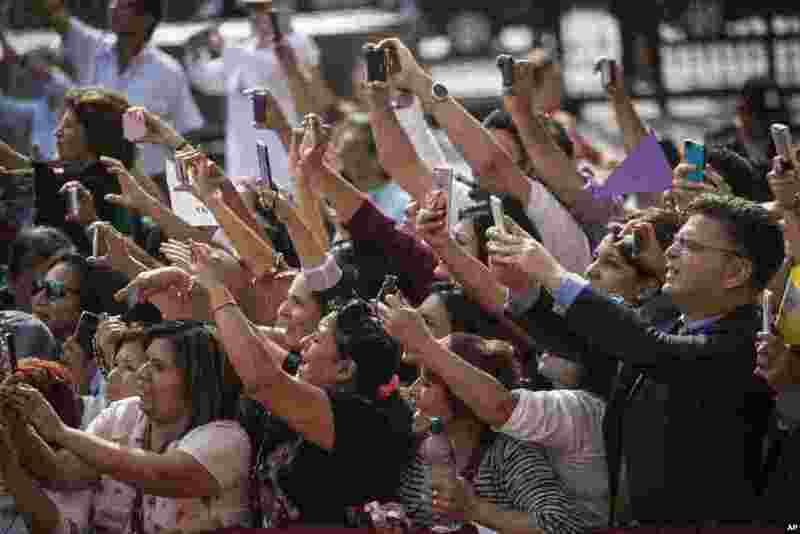 ١ A crowd takes photos of Pope Francis as he arrives for a mid-morning prayer at the Shrine of Our Lord of the Miracles in Lima, Peru. 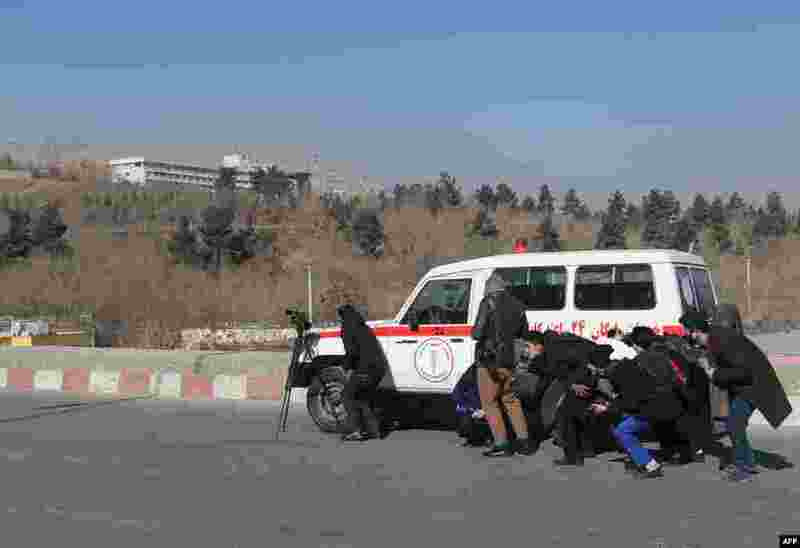 ٢ Afghan journalists take cover behind an ambulance near the Intercontinental Hotel during a fight between gunmen and security forces in Kabul. Gunmen stormed the luxury hotel, killing at least six people, including a foreigner, sparking a twelve hour fight with security forces that left terrified guests scrambling to escape and parts of the building ablaze. 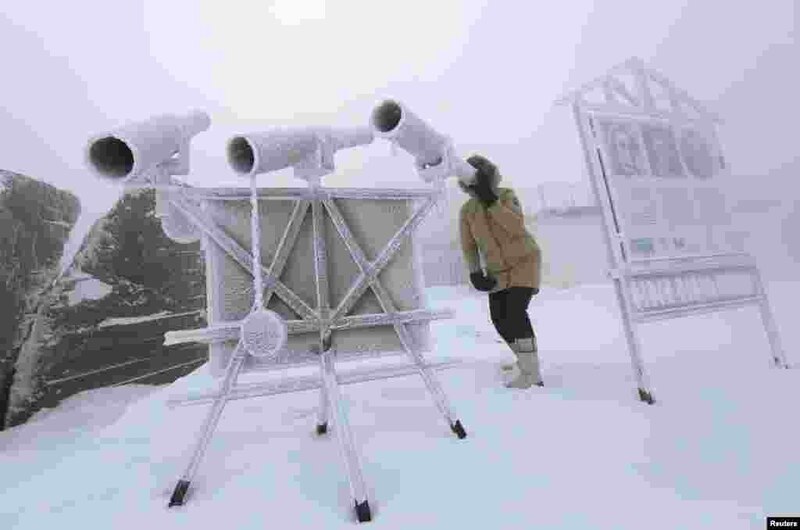 ٣ A woman looks through a telescope, covered with hoarfrost, with the air temperature at about minus 38° C (- 36.4° F) on the bank of the Yenisei River in the Siberian village of Ovsyanka near Krasnoyarsk, Russia, Jan. 20, 2018. ٤ Russia's Alina Zagitova performs during the Gala Exhibition at the ISU European Figure Skating Championships in Moscow, Russia.